This place is everything you wish your home could be. Swan Lane, a small alleyway off to the side of Cuba Street, pays homage to ‘The Duke’, a mythological character that ate, drank and traded his way around the world in a hedonistic lifestyle. We came here with the set purpose of sampling the chicken sliders on recommendation, as part of our pursuit for the best burger in Wellington. The sliders certainly didn’t disappoint. But there’s a lot more to say about Duke’s. 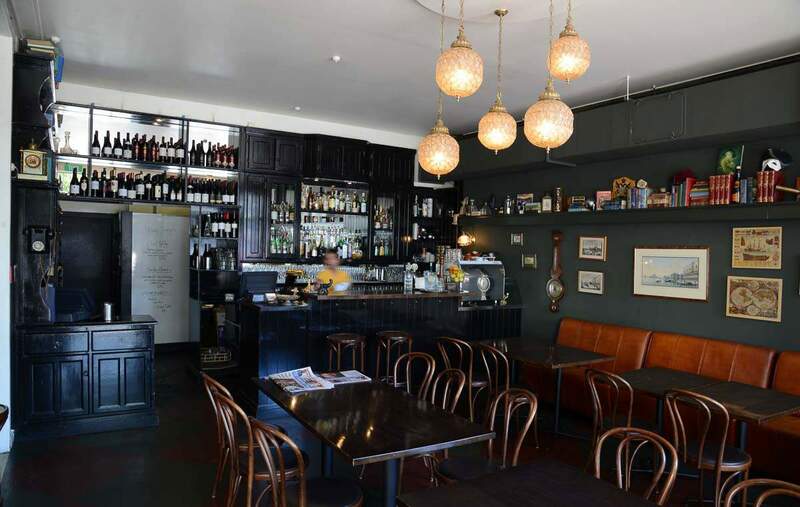 While originally opened as a sort of flow-on to catch those turned away from the teeming Scopa, Duke Carvell’s has since come into its own. Duke’s is a hot weekend brunch spot for those in the know, and those willing to take a few steps off the side of the beaten Cuba Street path. Their weekend brunch menu offers a delicious twist on traditional favourites – peas, rosti, watercress and poached eggs served with shaved parmesan and hollandaise sauce ($17) puts the usual eggs bene to shame, while the banana bread French toast shows you how it should be done ($16). Wash it down with a brunch cocktail. We like this place a lot. For lunch, there’s a set menu offering mains ($18), two courses ($25), three courses ($32), or three courses of a glass of wine ($38). It’s incredible value. Duke’s double cheese burger ($18), added to the menu after we sampled their sliders, is the stuff dreams are made of – the perfect balance of all that is good in a cheese burger: steamed milk bun, pickles, mustard, and fries. Alternatively, you could go for a variety of tapas-style small or large plates to share. Or not share. They won’t judge. A Mississipi Mama cocktail ($13) – try saying that ten times fast – is an essential accompaniment. The interior is European inspired brilliance that makes you understand why it’s called an Emporium. Combined with the food, this place is everything you wish your home could be.